Welcome To Skin Treatment Clinic In Andheri, Mumbai, India – Allure Medspa ! Are you planning a skin treatment? Then choosing a clinic where they have cosmetic expert on board should be your preferred destination. Over the years, Alluremedspa has built repute for being best cosmetic clinic in India. People from all over the globe are checking in at Alluremedspa, for their cosmetic enhancement needs. Such trust and confidence is due to consistent honest service. Two centers sited at the heart of Mumbai are equipped with world-class facilities which include: latest-technological equipment, professionally trained staff and team of board certified doctors. Our consultation clinic located at Andheri, is open to all prospective patients looking to clear their queries about cosmetic treatment. Five Story Building consisting of Two Major operation theaters, 20 beds including 4 Suit Rooms is at Goregaon. Alluremedspa has delivered great results and service to each and every patient time and time again. At Alluremedspa center you can get real life Instagram filter. What are the benefits of choosing cosmetic treatment over cosmetic surgery? In many cases instant result. What benefits does cosmetic treatment provide? Are there any risks associated with cosmetic treatments? Well depending upon your choice of cosmetic treatment risk factor varies; although over the years cosmetic treatments have shown minimum side-effect or complication. You’ll get educated about your cosmetic treatment during consultation. Why should I choose Alluremedspa? At Allure Med spa, we offer well-customized, cosmetic skin services to men and women. We have highly skilled doctors, who would discuss your concerns and provide you with hassle-free treatment experience. Five Story Building consist: Two Major operation theaters, 20 beds including 4 Suit Rooms, Two Skin Procedure Rooms and Separate Spa, Two Consulting Room and Medical Cosmetic Laser Systems. The center is equipped with latest technical tools and support systems.To know how these latest technological tools would help you with your Skin treatment, contact us today. Allure Medspa is one of the biggest ISO 2001:2008 Certified Cosmetic Surgery, Skin treatment & Cosmetic Dentistry Centre for Men and Women. We take utmost care for your comfort & confidentiality. We offer World Class Facilities & Treatments to deliver Exceptional Results in Feel at Home atmosphere. The center is equipped with latest technical tools and support systems. We also offer ‘feel at home’ atmosphere and personalized care for complete satisfaction of our patient. Once you’ve decided to undergo cosmetic enhancement treatment, it’s inevitable to have various queries. That’s what we’re here for. 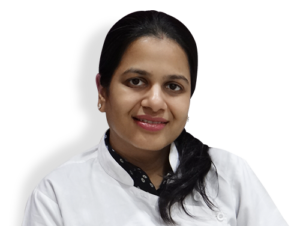 We at Alluremedspa clinic boost one of the most respected team of cosmetic doctors in the India. We won’t rush you to treatment table until all your queries are resolved.
" Thank you Alluremedspa for helping me find a new confident person within me. My chemical peel treatment has brought a glow on my face, which I honestly never saw before. " " Truly an amazing experience! I’m grateful to staff and doctor who made my laser hair removal treatment experience a hassle-free one. I would suggest all my friends and anyone who’s reading this to have Alluremedspa as their clinic choice for their cosmetic treatment. " Contact us Today to Rediscover a New You. What’s Your Concern? We’ll Solve It. Cosmetic Surgeon Dr. Milan Doshi (M.S., M.Ch) Indian Board Certified Plastic Aesthetic Surgeon with international expertise and qualification (Member of ISAPS – International Society of Aesthetic Laser Surgeons and Plastic Surgeons). He is founder and Medical Director of Allure medspa, ISO 2001:2008 Certified, the most advanced Cosmetic Surgery Center in Mumbai, INDIA. There is a reason Dr. Doshi is considered “Mumbai ‘s top cosmetic & plastic surgeon” with a top-secret list of actors, models, and social elits. He is regularly operating on many celebrities from Bollywood,Tellywood, Tollywood, NRIs, Foreigners.Understanding patient need, educating & suggesting them the best Cosmetic Surgery/Treatments is prime goal of his practice. it begins with his artistic approach to achieving aesthetically-pleasing, youthful and natural results. These outstanding results are also the same reason that Dr. Doshi’s patients enjoy a high level of satisfaction with their surgery at Allure Medspa and would recommend him to friends and family. She has earned major certifications in cosmetology procedures like Botox, fillers, cheek augmentation, lip filling and nose augmentation. She has worked as a key dermatologist as well as a consultant. She has more than seven accreditation in the implementation, structuring and design of oral and poster presentations made in her name. She has also been an active participator and contributor to a number of national and international conferences of dermatologists. She has even conducted numerous cosmetic treatments in her professional tenure.